In 2017 blogging has become the in thing, it can hard to know where to start, where to find the top beauty blogs giving you the best advice for your hair. Therefore, we have completed a list of the top 31 hairstyling blogs on the internet to give us a head start on finding our tips and advice on these fabulous blogs. ( List in no particular order). Please feel free to use your well-deserved badge on your blog! 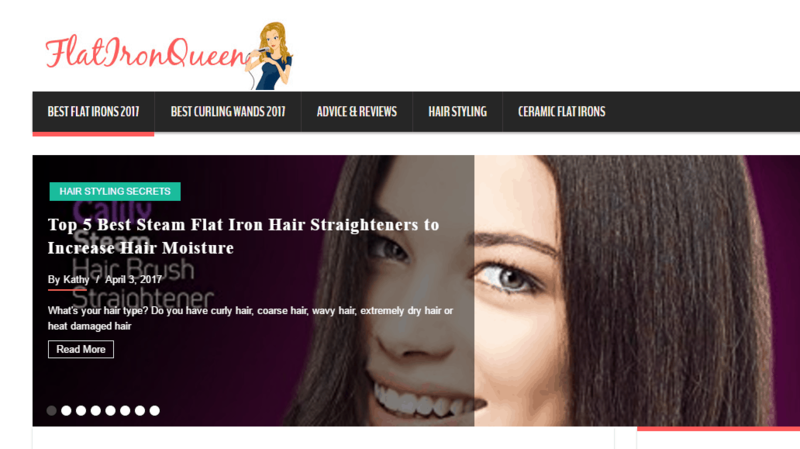 Flat Iron Queen is a fabulous advice and review site for your hair, especially looking at the best flat irons for your hair. 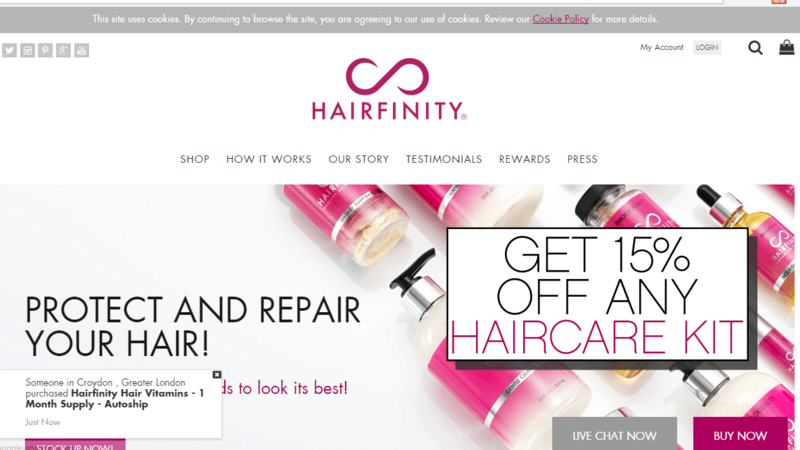 Kathy Miller the founder of this site makes it easy to read when sharing her experiences, tips and tricks about hair. As Kathy is a hair stylist herself she really knows what she is talking about, this blog really is the queen of blogs. 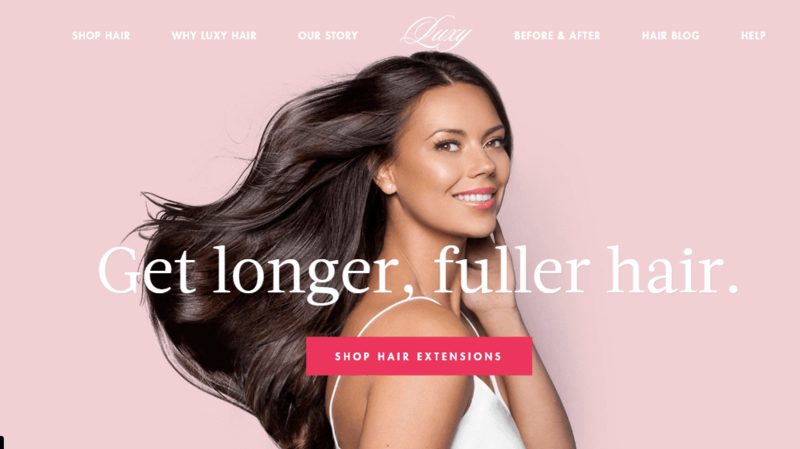 Luxy hair blog is a clip in hair extensions company, although they cover all things hair related. The blogs include tutorials, tips and product reviews. The blog is also host to guest interviews from hairstyling bloggers like Alena Gidenko and Alex Centomo. All these contributions mean you will always have something fresh and exciting to look forward to. 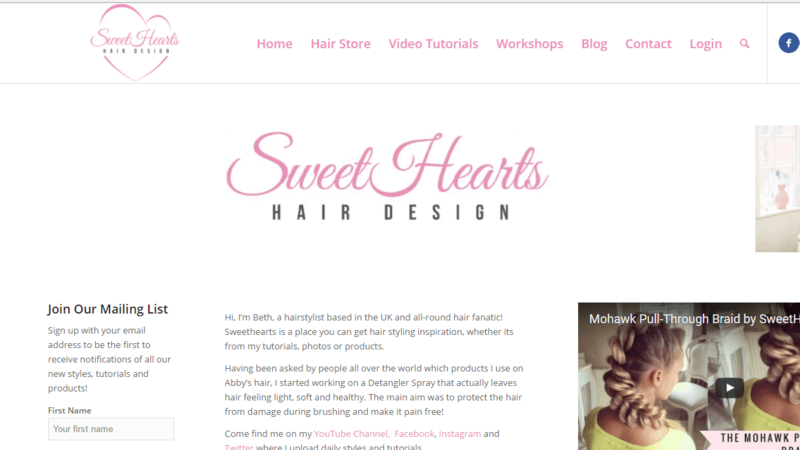 Sweet hearts hair design has been created by Beth, a hairstylist based in the UK and she just loves doing hair! 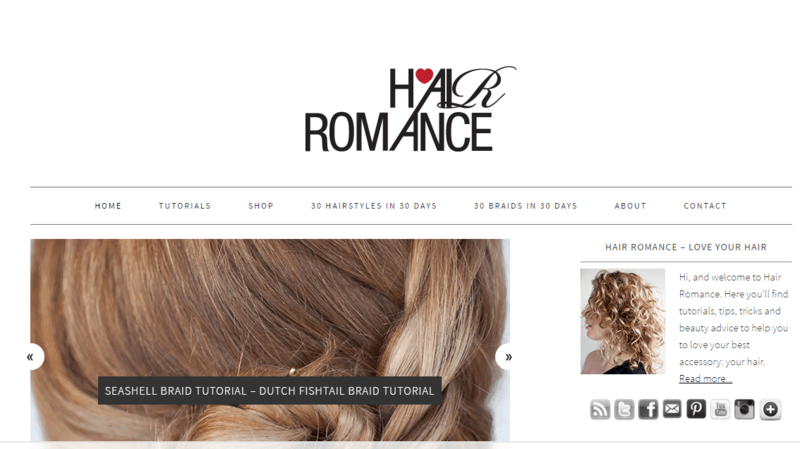 This blog provides you with different styles from tutorials, photos and products. Beth, felt she has so many people asking her which products she used on Abby’s hair, so she started working on a detangler spray that leaves your hair feeling light, soft and healthy. I can also vouch for this as I have reviewed this detangle spray and use it on both my girls its amazinggg! 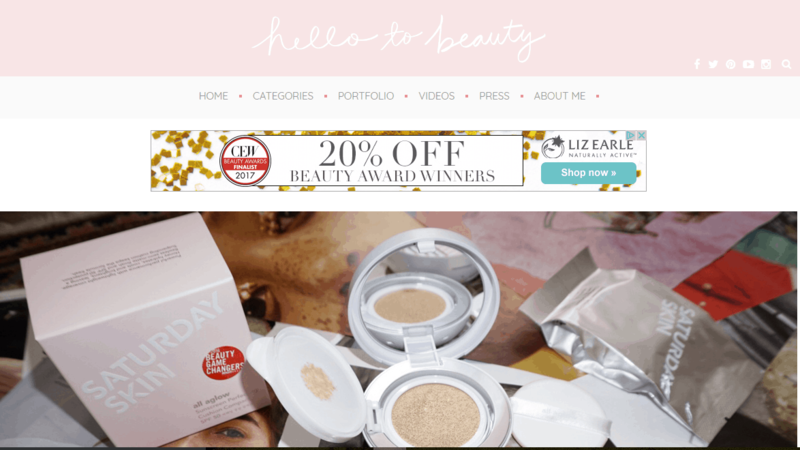 I seriously love following this lovely site and intend to continue to work alongside Beth as a blogger. 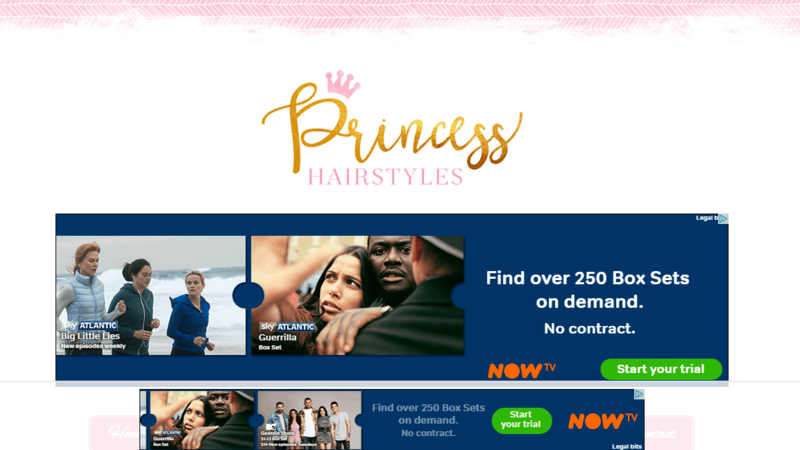 With over 200 hairstyles and accompanying video tutorials Princess Hairstyles is a very popular hair blog to follow. The mum and daughter have a lovely relationship together being avid stylists they have created this lovely blog. This blog caters to a large audience, they have even launched a free app for android or IOS for easier access to the step by step guides. The blog is packed with useful step-by-step image and video tutorials that make it a favourite for beginners. Some of the featured hairstyles include variations of braids, buns, ponytails, twists, and curls. Mindy a mother of 6 started this hairstyle blog, cute girl’s hairstyles, who had had enough of the same old simple hairstyles. Soon enough Mindy was keeping track of all the images of her experimented styles, she soon had enough to give step by step instructions on how to recreate her fantastic styles. 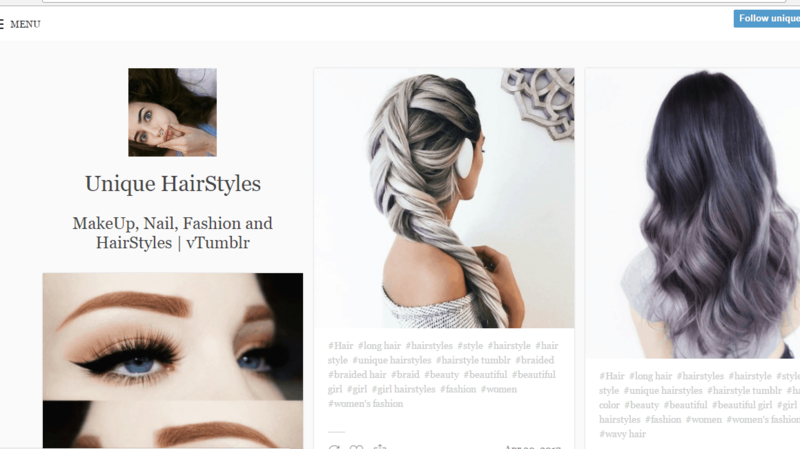 Years on and this is one of the world’s favourite hairstyle blogs followed by hundreds of thousands of women, so don’t miss out. 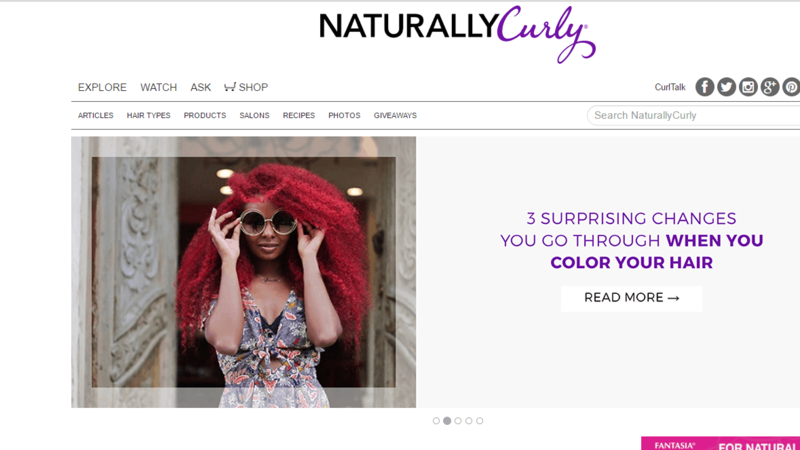 This blog is simply what the title states ‘naturally curly’, it is one of the best multicultural blogs, which is one of the largest community for curly hair. This blog has excellent product reviews, where you can look at all the products made for curly hair, you can also then purchase your favourite hair care products if you like the review. The blog also covers articles, hair types and salons guides specifically for people with curly hair. So, this site really does cover everything curly. Jenny strebe has more than 14 years’ experience of being a hair stylist, for six of those years she worked for Toni & Guy as an educational director which made her start her blog as she had a natural flare for teaching. This blog is a favourite of not only mine but over a million viewers which shows how loved this blog is. There are so many styles to choose from with step by step instructions including all the latest hair styling trends, keeping you in with the styles of 2017. 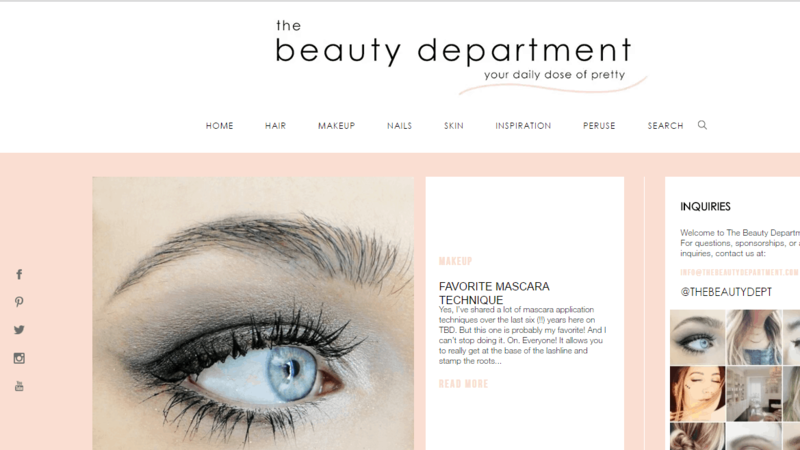 This blog the beauty department features the latest hairstyle trends, as well as makeup, nails and skin tutorials. The tutorials are complete with images guide with easy to read instructions to follow. Kristin Ess is the writer responsible for all the hair tutorials, she is a stylist within her salon and is amazing at her job. So get reading. 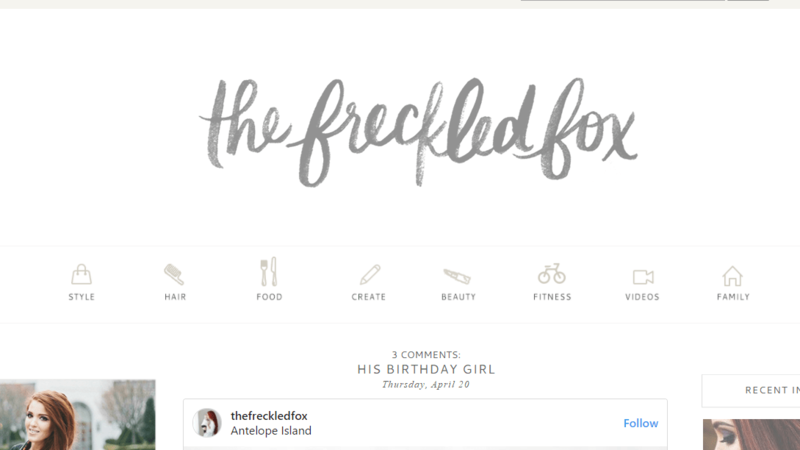 Emily the producer of the freckled fox has managed to cover many areas such as food, beauty, fitness and hair. Although she has covered all these areas the hair section Is rather thorough, with step by step guides and images to all the up to date hairstyles. Emily who is a mother to 5 inspires to make her readers innovate, she adds a personal touch to all her content and that’s what makes this blog so unique. In 2008, this blog was started for a bit of fun, as the mum of 3 was obsessed with doing her daughters long beautiful hair. Becky has continued to create exciting new hairstyles so you can learn step by step how to create these styles yourself. You can spend hours searching for the perfect hairstyle in all the categories and learn how to style your hair easily. 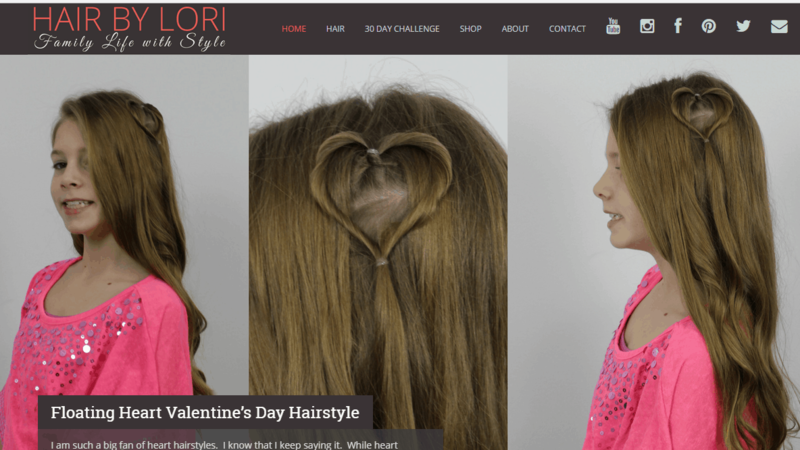 Another highlight is the Hair Accessories and More page that teaches you how to make bows, ribbons, and other accessories for your daughter’s hair. If you’re looking for an up do for your hair then this is the blog for you. Steph who is a professional hair stylist who shows you how to create all sorts of styles from weddings to photo shoots teaching you all the tricks and tips. All the popular hairstyles are shown in the ‘how to’ section with video tutorials and all different images. It’s nice to know that all the photos posted on her blog are all her clients she has personally created their style. This is a lovely, professional site to follow. 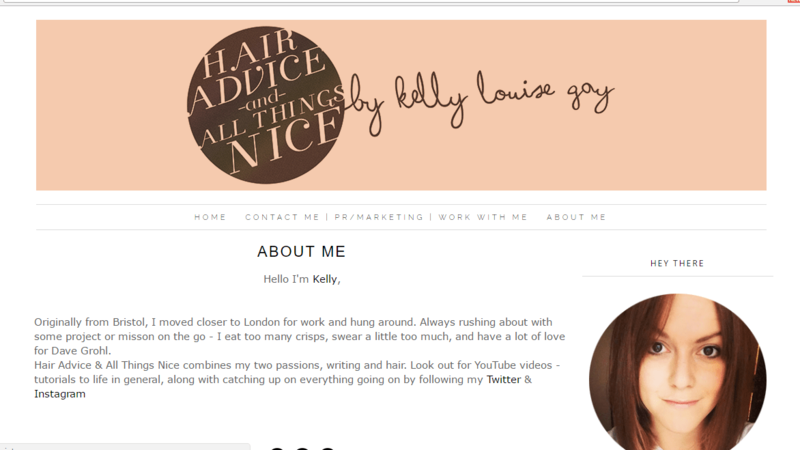 Hair advice and all things nice was created by Kelly which is a personal blog with hair advice about every hair, I love how personal all her posts are with images from different subjects giving you a feel of her life. There is also celebrity styles and many different product reviews it really is a blog you will love. Hairfinity is a very unique blog, as she started off the blog on a mission to help others with common haircare problems. Tymeka Lawrence launched her blog to guide and inform women seeking out hair help. Then Hairfinity created healthy hair vitamins, they are one of their best sellers loved by all women over the world. The brand can be read in 13 different languages aiding healthy journeys over the world. Now to make it a family affair Tymeka’s daughter jasmine has now joined the blog helping spread the Hairfinity message to customers. This is a blog close to Laurens heart as corn of hope & mane is an open conversation about women’s hair loss, as Lauren knows all about this as she is suffering with hair loss herself, alopecia. She describes it as devastating hence why she wants to help others with this pretty horrendous illness. As Lauren now wears faux hair she would like to share her experience and give others advice, so if you know anyone having these problems this is the blog for you. 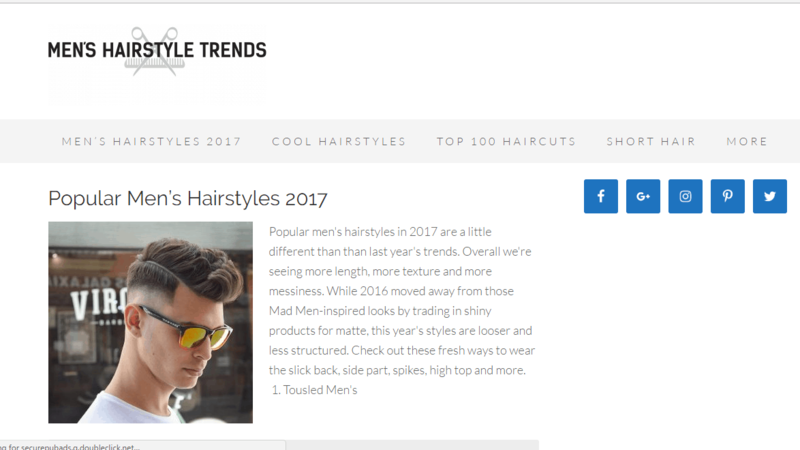 Over 1 million men visit men’s hairstyle trends each month to get new haircut ideas and styles. This blog is pretty clear about what it is they want to get across to their viewers which are; consistently get great haircuts from the barbers, learn how to create cool hairstyles from home and understand what products are actually good and work. Men’s hairstyle trends give you the top guides and the latest fashions of the haircuts and styles for men. 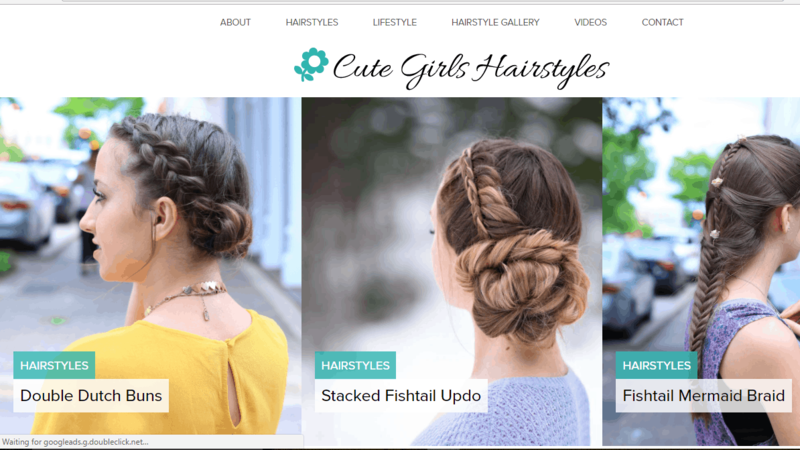 This blog was created by a lady called Christina who keeps you up to date on the latest hairstyle trends, although she has had no formal training I love the personal touch to all her own tutorial and photos of the hairstyles on her own. Which also means it’s very easy to follow along no complicated technical terms all simple, easy instructions. From information on the latest trends at the world’s fashion weeks, step-by-step hairstyling tutorials, and everyday style updates to the ever popular “30 days, 30 hairstyles” feature, this trendy blog will keep you coming back for more. 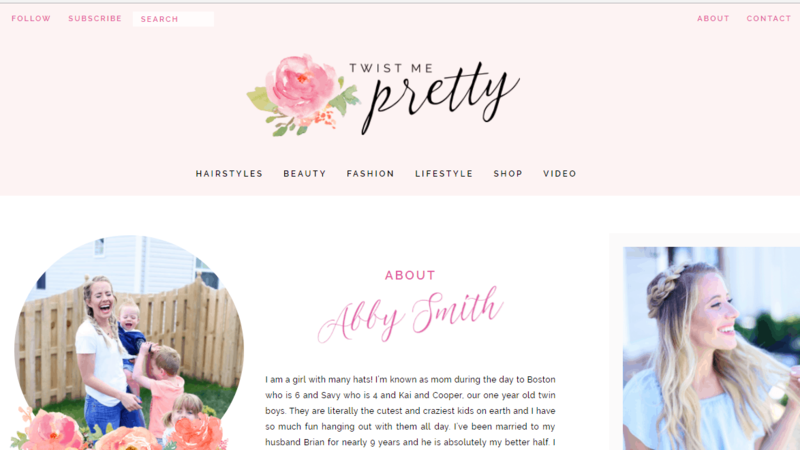 Abby Smith started this blog a few years ago who is a mum of four, twist me pretty covers an array of subject’s hairstyles, beauty, fashion and lifestyle. Over time the blog viewers has grown and the social followers has become very popular. The pictures, that are shot in high definition, are clear and accompanied by instructional videos. There are also hair care articles, product reviews, and video guides for private members that are sure to keep you coming back for more. 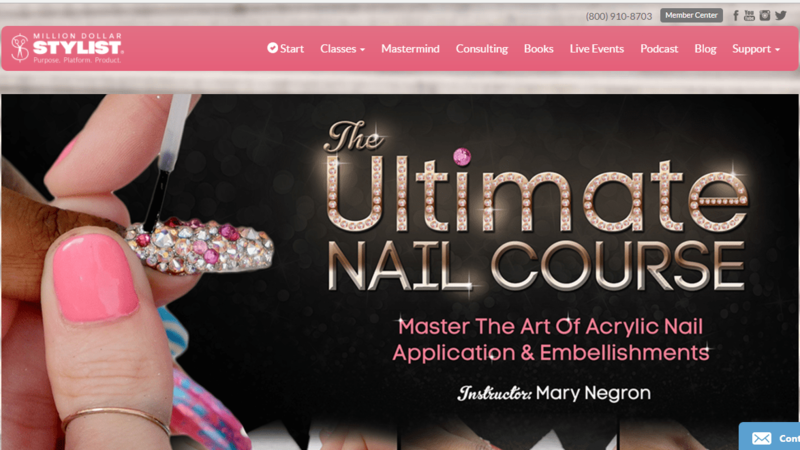 This blog the million-dollar stylist is a different type of blog as it offers classes and course for everything beauty. 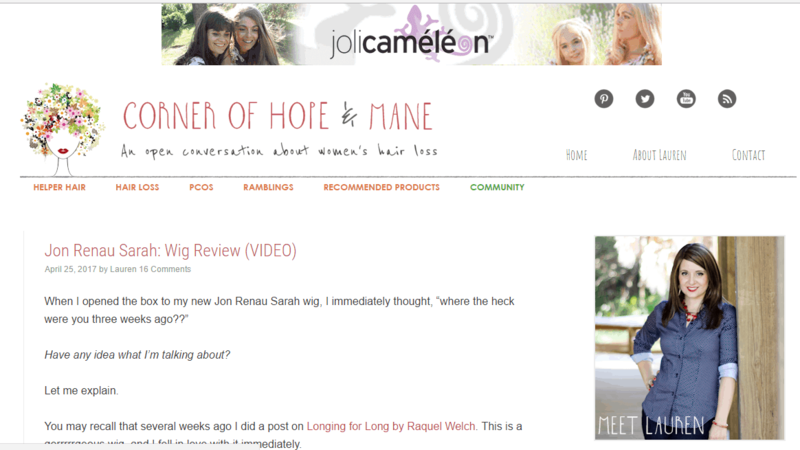 It also has the blog side of things where there are posts about everything hair and beauty which have some amazing guest posting on these and I look forwards to the new ones being posted. There’s live events, podcasts and many images to go along side, enough to keep you entertained. This blog called hair straightener beauty is everything you could know about straighteners, from celebrity hairstyles to hair care information. There is every how to tips about hair with images and videos to follow the step by step guides. So get reading. Hair by Lori was created by the wonderful mum of 4 Lori, she has a passion for three things god, family and finally hair. Lori has a very happy life at home schooling her children meaning she spends a lot of time with them. As she has been into hair since high school she is now a very talented hairstylist and wants to share this with the world. 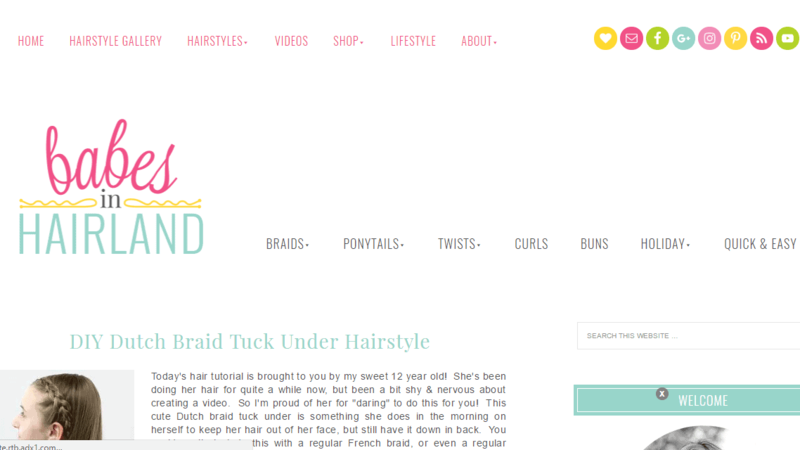 Her blog is full of fantastic hairstyles you just must have a try. This blog unique hairstyles gives unique images and posts on makeup, nails, fashion and hairstyles. l sign up to tumblr and you will get to be involved in the lovely latest trends. Gina fry is a makeup artist and hair stylist, she has been working professional for the last 15 years and had become a very talented stylist. She specializes in scissor over comb mend haircuts, grey coverage, curly hair and highlighting. All her clients get a personal consultation to make sure each client gets the desired look they are searching for. Hair by Gina Fry’s blog covers children’s, women, men, before and after, and special occasions with all the images to keep you up to date on the latest styles. Wasifa is the beautiful blogger behind the ‘sifa’s corner’ which is a healthy lifestyle and beauty blog which I love to read. This is such a personal blog as it started off as a blog focused on the disease thoracic outlet syndrome so that she could share her experience with other sufferers. 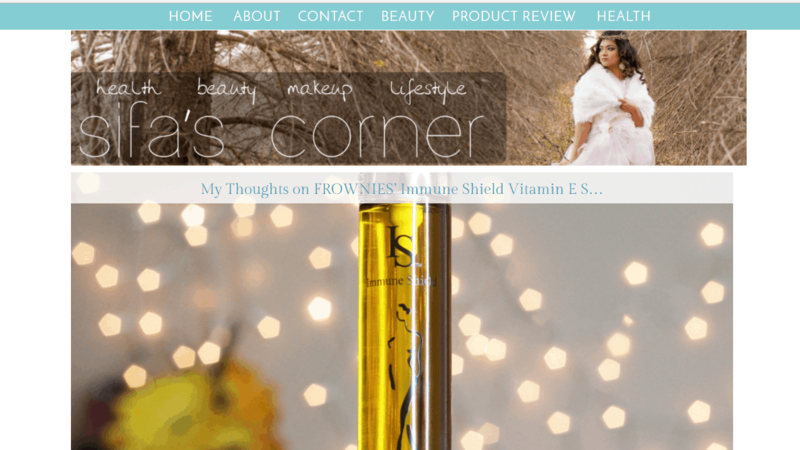 This is turn helps Wasifa to explain her site with her love for healthy and beauty, which I just love to follow along and so will you! 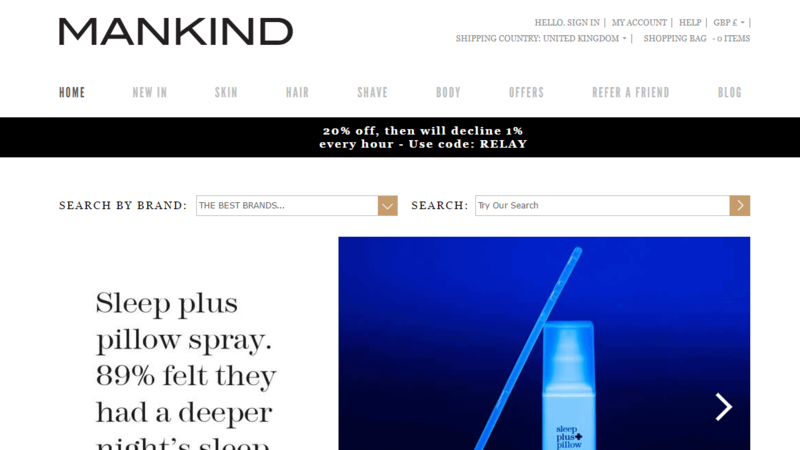 Mankind is a blog simply for men, everything about skin, hair, shaving and the body. It also gives offers and had a separate part for their blog. At Mankind, there determined to make grooming a fuss-free, pleasurable experience to get you looking and feeling great. As men, approaching an assistant at a department store counter can be a daunting prospect, and in this fast-paced world we live in it’s not always easy to find the time. That’s why they have committed to bringing grooming solutions to you, so that you can quickly read up on your concerns, identify your needs and find the right tools for the job. 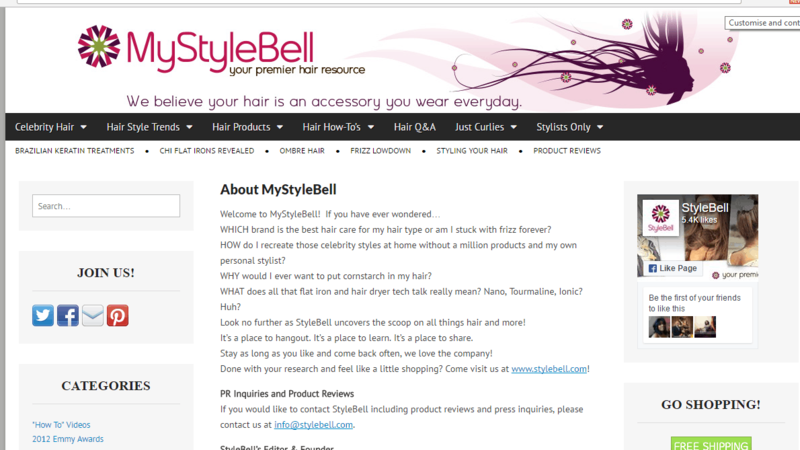 My Style Bell is a great hairstyle and hair care resource guide. With news on the latest celebrity hairstyles, hair care, product reviews, and tips and tricks, the blog is a one-stop shop for all things hair related. 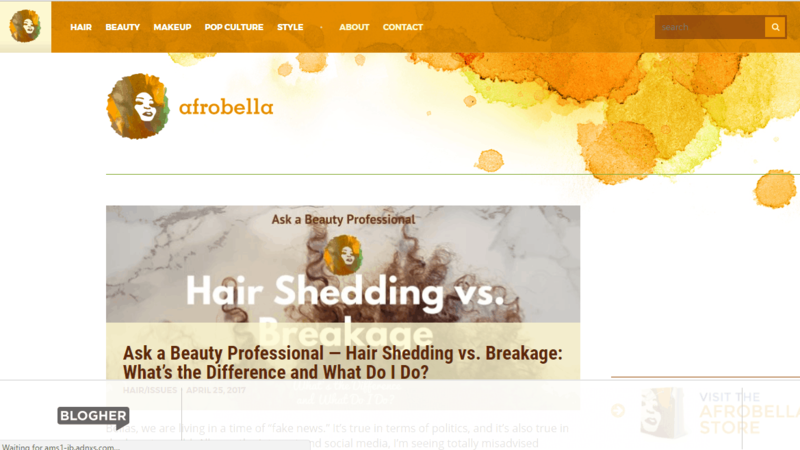 The site has dedicated sections for Q & A, hair product reviews, hairstyle trends, and how-to videos that are very useful. There are pages that specialize in how to deal with frizzy hair, styling for curly hair, and much more. 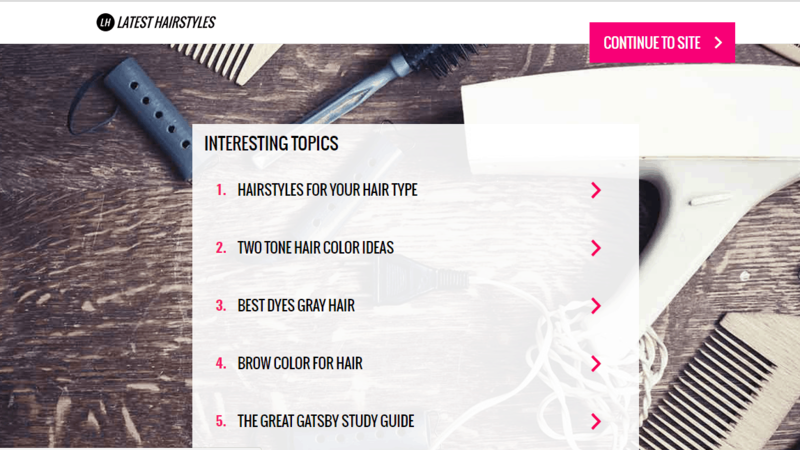 With the wide variety of information available, it’s no surprise that My Style Bell is one of the most popular hairstyling blogs around. Nikki the creator of hello to beauty is a makeup artist and hair dresser from Los Angeles, CA. She is very passionate about teaching everyone what she has to offer, from the best lipstick to wear with your little black dress to how to style your hair for a wedding. With videos and images to give you an easy guide this is just a wonderful site to follow along. Trinidadian-born writer Patrice Grell Yursik created Afrobella.com to fill a void and to celebrate the inner and outer beauty of women all shades of beautiful. Her award-winning blog shines a loving light on natural hair and the wonderfully wide range of gorgeous skin tones and sizes women come in. Patrice has been featured in Essence, Ebony, Glamour, the Trinidad Guardian, and Fast Company. This blog covers makeup, beauty, style, pop culture and hair, which she does an amazing job at too. With many followers worshiping this beautiful blog you must get following. 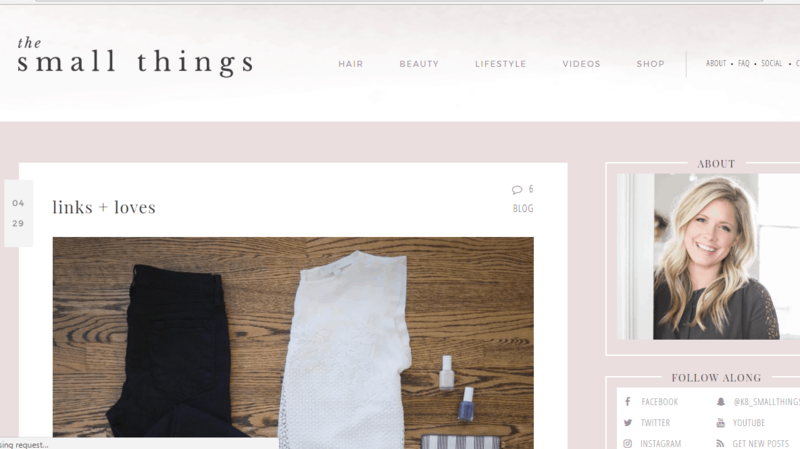 The Small Things Blog is a women’s beauty blog that is best known for its hairstyle tutorials. Kate, the author, was a hairstylist for over eight years, and decided to write the blog primarily for her clients. The fame of her tutorials made the blog popular. It is packed with video tutorials and step-by-step instructions with pictures to help make your styling dreams a reality. There is also a Q&A section and a products page. 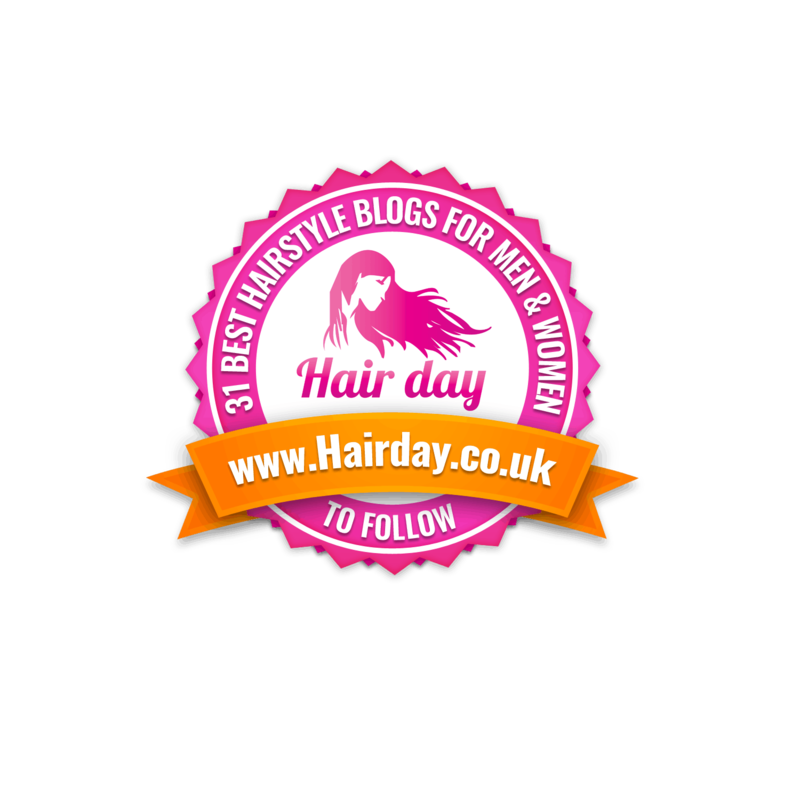 If you’re looking for highly rated hair styling advice, this is the blog to visit we just love it. Thais the author of curl on a mission is out there to document and share her experiences of a girls with curly hair. 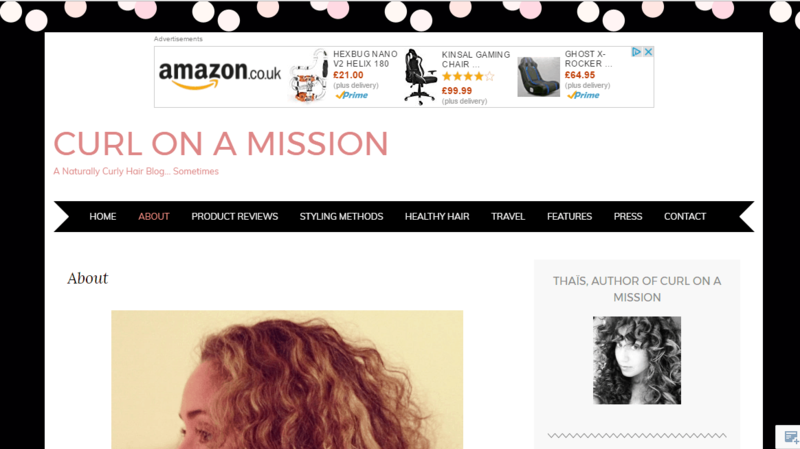 Check out her product reviews, styling methods, tips on how to keep your hair healthy, fashion and a bit of travel. You will never get board as there is so much to catch up on with this blog, I hope she inspired you as much as she inspires us as a blogger we love her. 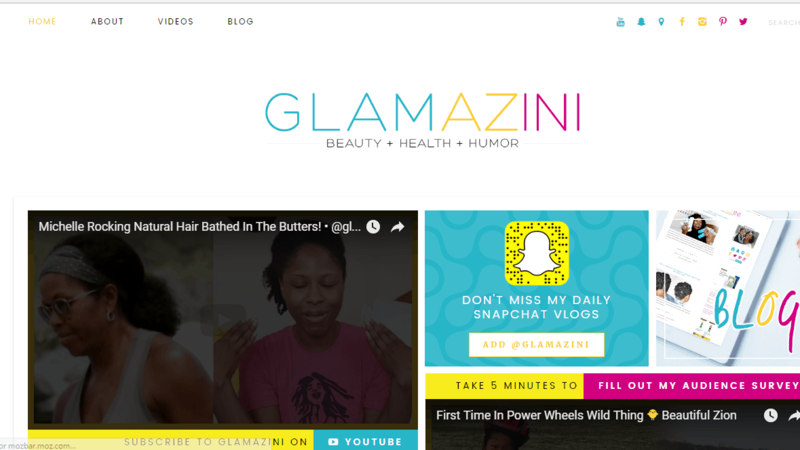 This blog Glamazini was founded by Roshini Cope in 2002, and it started off as a natural hair blog about her personal hair blog. It soon expanded with her passion for women’s beauty and hair it has now turned into daily product review, step by step videos and detailed written instructions which are easy to follow. I love the intimate touch that Roshini has kept within her blog which makes it an addictive blog to keep checking up on. This is a hair website that covers all basis of Hair and they do a brilliant job at it. They are dedicated to fresh tips and the latest hair styles to keep you up date with the latest fashion with hair. They have so many unique interesting topics when you visit this blog you won’t know where to start. 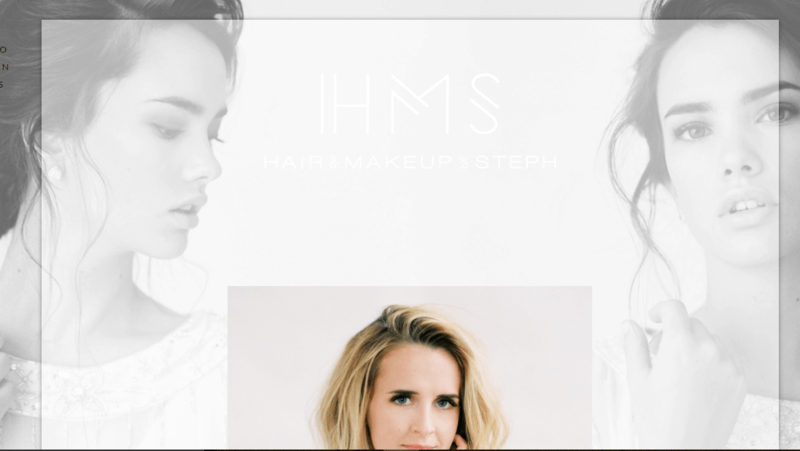 The team that have created latest hairstyles blog deserve a well done for this beautiful blog.